The battle between the Competition Commission and Standard Bank in the forex-fixing case took a step up this week, with the competition watchdog accusing the bank of “a clear sign of an abuse of process”. This was part of a court hearing in the Competition Appeal Court in Cape Town, as part of the bank’s attempt to access the commission’s investigation record. “Why do they want to know the facts against them if they want to cooperate? They have the facts themselves. So I suggest here that we have a clear sign of an abuse of process. It is the duty of the court to stop parties like Standard Bank, which are accused of cartel conduct, from abusing the processes of the tribunal,” advocate Tembeka Ngcukaitobi said this week. On behalf of the commission, Ngcukaitobi argued that the bank was seeking the investigation record to prepare its opposing documents before pleading. “There is risk that you’ll adjust your version in accordance with the case against you … The commission is investigating a secret world, and this investigation is still ongoing until it is over,” said Ngcukaitobi. He said the bank had not advanced any facts and questioned the motive to acquire the record. “They were asked specifically by the commission why they should be supplied with the record. Standard [Bank] refused to [answer]. 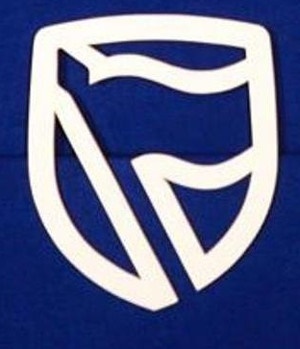 The commission suspects the request for the record is because Standard Bank has not yet filed for an answer,” he said. He said the investigation record being sought by the bank would be made available throughout the trial. He said the information was being sought for record purposes and that there was no delay on behalf of Standard Bank to plead, adding that none of the respondents was under obligation to plead. “A number of exceptions are still to be heard. There have been delays to hear these exceptions because the commission cannot seem to get their case in order, to decide what the case is,” he said. “Without the record, the court cannot perform its constitutionally entrenched review function. As a result, the litigant rights in terms of section 34 of the Constitution to have fair public hearing will be infringed,” he added. Standard Bank filed the appeal related to the forex case in which 18 banks stand accused of global price-fixing and market division. The bank is appealing a Competition Tribunal decision that it was not yet entitled to access the commission’s investigation record. A three-judge Bench reserved its judgment this week.